How To Clone Git Branch Command Tutorial with Examples? git clone command is used to clone branches and git repositories. In this tutorial, we will learn how to clone a git branch in different ways. 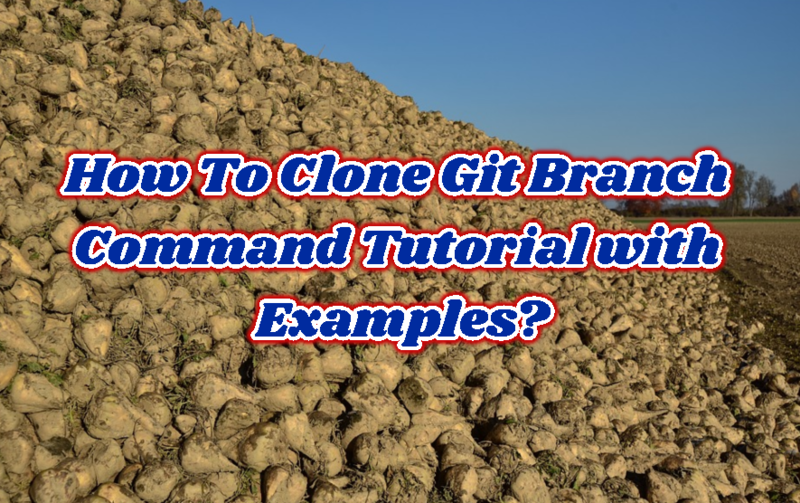 We will learn clone single branch, clone to a specific folder, clone specific tag etc in this tutorial. We will start by listing branches. In order to copy branch, we need to list the branches. We will just use branch command which will list currently existing local and remote branches. We can clone a single specific branch by using --single-branch with the --branch option. We will also provide the branch name. This will save from the disk space where only specified branch and related data will be copied. We can copy a specific branch to the specified folder. We will just add the folder name to the end of the command. This folder will be created automatically. In this example, we will copy the master branch of the nmap into a folder named test. We have the ability to clone specific tag. Actually, tag is the name of the branch but tag will provide a different point of view. We will use -branch option and provide the tag we want to copy. We will copy tag named master in this example. LEARN MORE How To List Local and Remote Git Branches? Branch copy operation will all previous versions of the specified branch or tag. In some cases, this may create problems like disk space or network bandwidth. In this example, we will use --depth option and provide the number of depth which is 2 in this case. What Is mtime In Linux and Find Command?